Very old European antique shoe clip. 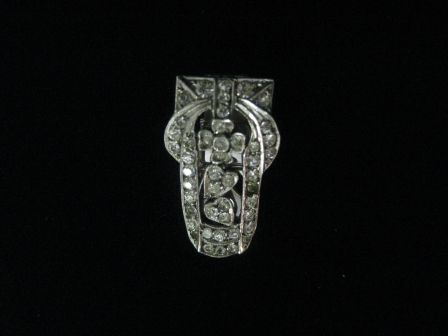 Would be very pretty as a dress clip or clipped to a strand of pearls as a pendant. This would also make a beautiful "something old" on a bride's dress, flower bouquet, or in her hair.